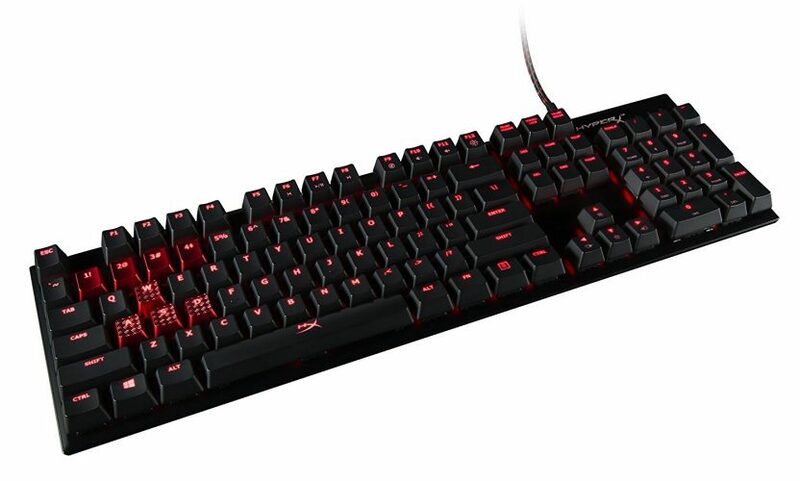 Having enjoyed the use of modern mechanical keyboards in the past decade or so, including the Gigabyte Aivia Osmium Mechanical Gaming Keyboard (with Cherry MX Red Switches), ROCCAT RYOS MK Pro Mechanical Gaming Keyboard (with Cherry MX Blue Switches), and Logitech G710+ Mechanical Gaming Keyboard (with Cherry MX Brown switches), among many others, I’ve become quite the advocate for premium keyboards of this type. Outside of portable computing, which is presently served by a Microsoft Surface Pro 3, I practically insist on using a mechanical keyboard. 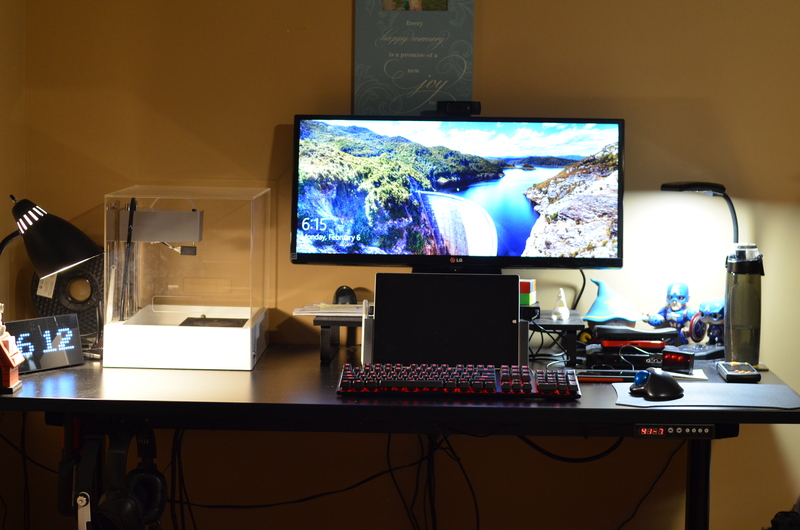 While gaming responsiveness is certainly a factor, I do tons of typing, which is why the solid feel and quick action of a good mechanical keyboard is so important to me. 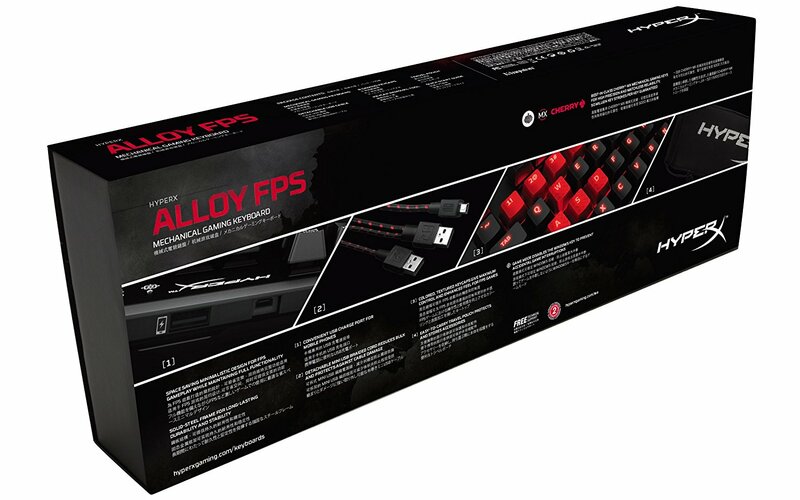 While my personal holy grail – yet to be met – is a wireless, backlit, mechanical keyboard with a tenkey (number) pad, I believe I’ve found the next best thing in the HyperX Alloy FPS Mechanical Gaming Keyboard. My current standing desk at home has a lot going on with its top surface, including two lights, a 3D printer, Surface Pro 3 dock, XRGB-mini, AverMedia Live Gamer Portable, and an ultra widescreen monitor, in addition to my keyboard, wireless trackball, various knick knacks, and a small workspace for books, magazines, or notepads to reference. As such, I was looking for a way to supplant my effective, but bulky, ROCCAT RYOS MK Pro, which has a permanently attached, and thick, braided USB cable. Basically, there was no easy way with my current setup to place that keyboard to one side when I needed more desk space. With no suitable wireless options available, the compact HyperX Alloy, complete with detachable, braided USB cable, seemed like a great alternative. I can just detach the miniUSBcable from the back of the keyboard when I need more space, and plug it back in when I need it again. Simple. 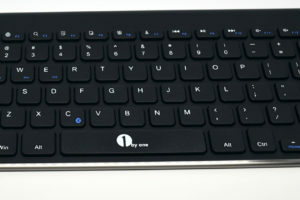 While there are no dedicated media or other specialized keys, nor software for things like backlight and other customization, you can still control media functions and cycle through six preset LED modes for the backlighting (including “off,” of course, and keys you specify) with simple key combinations. For all the fancy keyboards (and related) that I’ve bought over the years, I rarely, if ever, used the customization software (other than maybe a one button press to bring up something like Notepad++ or the calculator), and I rarely, if ever, changed my lighting preferences, including when fancy RGB light shows were available. In that regard, I absolutely don’t miss any of that here. How it fits on my desk. In the package you get the keyboard itself, mesh travel pouch, USB cable, and various paperwork. You also get a keycap puller and optional textured, red keycaps to replace the usual gaming-centric A, W, S, D, 1, 2, 3, and 4 keys. The important part of course is how this all works. Fortunately, even though there’s the usual small user learning/comfort curve that comes with almost any new keyboard design (and particularly one that’s fairly radical like this one), it works great. 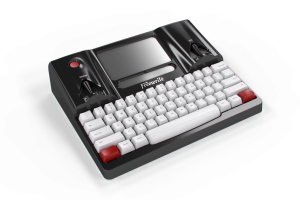 Keypresses provide suitable physical and audible feedback, and I’m able to type at full speed without issue. My gaming tests proved just as successful. While compact, there are no sacrifices to key size, and the steel structure provides plenty of weight. If you’re like me and want a no sacrifice, yet compact mechanical keyboard with removable USB cable, then the HyperX Alloy makes a fine choice. In fact, I may not even need that personal holy grail solution. As such, I’m happy to award the HyperX Alloy FPS Mechanical Gaming Keyboard our first Editor’s Choice award for 2017.
i have used this and loved the experience,the key are so soft!! just love it !!! 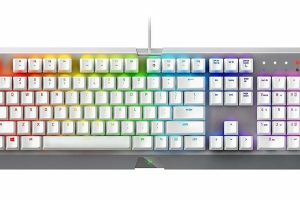 The HyperX Alloy has been seen buy a lot of the gaming world as one of the best gaming keyboards this year. I can say I have used it and I loved it myself!